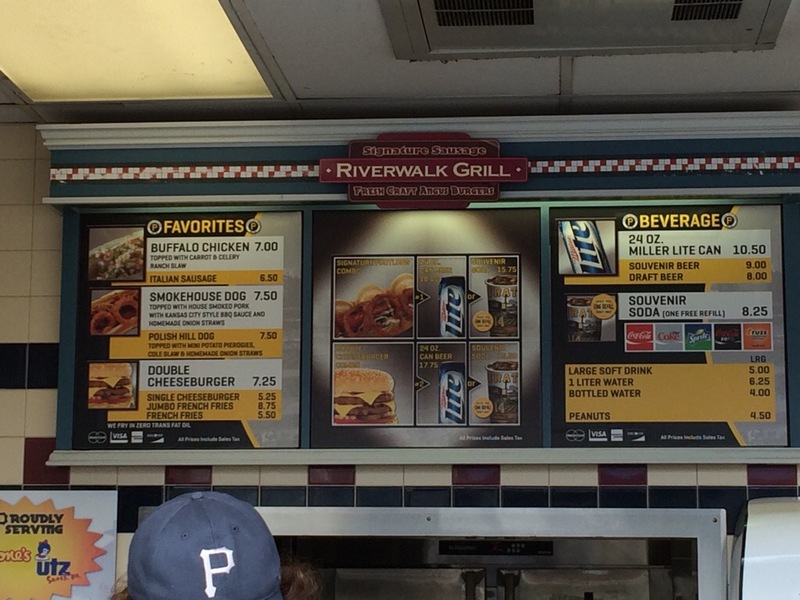 Behind the Outfield Reserved seats at PNC Park, home of the Pittsburgh Pirates, sits a “craft” food stand by Aramark. 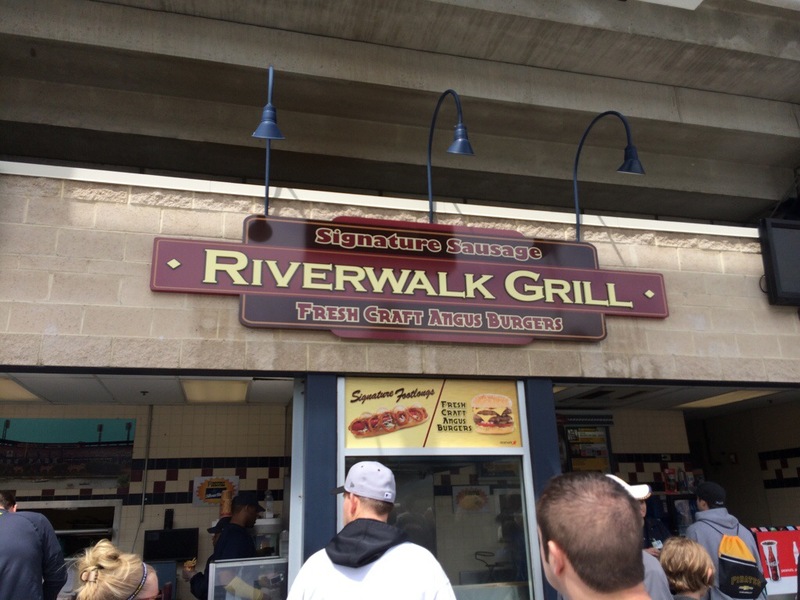 Last season, the stand offered a handful of custom-stuff sausages, but in 2014 their menu has adapted to include just two sausage favorites – Italian and Buffalo Chicken. “Craft” footlong hot dogs – Smokehouse Dog and Polish Hill Dog – are now offered for just $7.50 and may be the best value on the menu. (I believe them to be new this season). 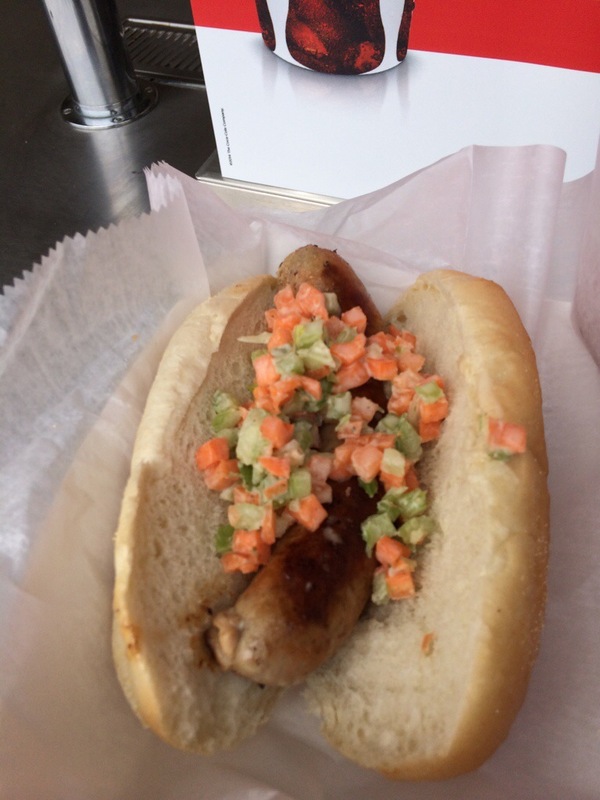 The Buffalo Chicken Sausage is a chicken sausage – a la buffalo wing – topped with a slaw of carrot and celery. Pictured below, the sausage is served on a very large roll – too large in my opinion. The slaw was fairly tasteless. While I applaud Aramark for a craft creation and may be spectacular when served by the chef who created it, but I think the execution is lacking from the general concession stand employee. Employees, who seemingly hate their job, were slinging food yesterday as fast as they could with little to no concern on how the food looked as it left the window. 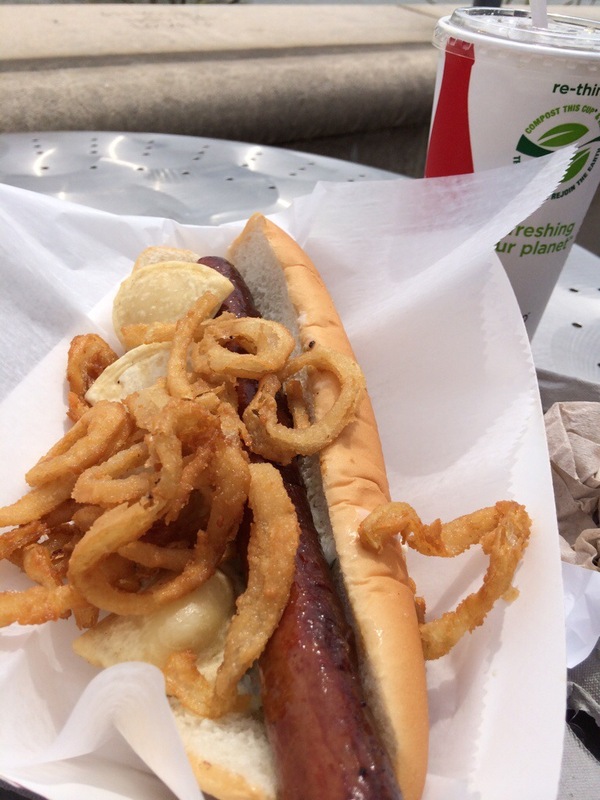 Pictured below is the Polish Hill Dog AFTER many of the pieces had been picked back up and placed on the bun. The dog is a simple footlong dog topped with fried pierogies and onion straws which according to TasteBudA was delicious. I don’t think it beats the pulled pierogi stacker sandwich sold at Manny’s BBQ. I was disppointed that TasteBudA had to effectively re-assemble his hot dog to be on his bun before he ate it. I was able to sneak a fresh onion straw and it was in fact delicious. I think the hot dogs are a much better value than the sausages. Looking ahead, I’d highly encourage Aramark to consider working with Franktuary, like they do with BRGR, to open a quality craft sausage/dog stand. 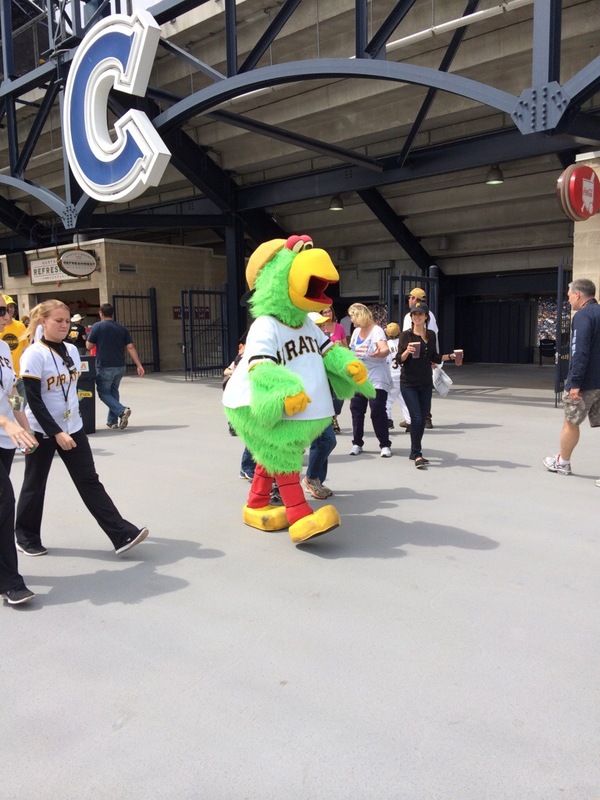 Getting more locally-owned restaurant menus into ball parks would be a great way to introduce Pittsburgh sports fans to restaurants they may not have had the change to adventure to around the city.